Tonight on FOX, SO YOU THINK YOU CAN DANCE continues with an all new Monday, June 12 season 12 episode 3 called “Auditions #3: Los Angeles”. On tonight’s episode the third round of auditions features dancers in Los Angeles. On the last episode, auditions continued as the judges searched the country for the next dancer to take the crown as America’s Favorite! Judges Nigel, Paula and Jason headed to Detroit to check out the best Stage and Street dancers in the Motor City. Did you watch the last episode? If you missed it, we have a full and detailed recap right here for you. 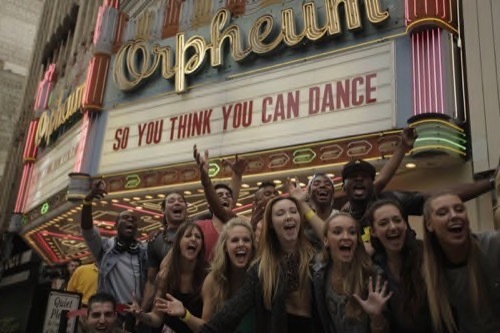 The finale episode of So You Think You Can Dance season 12 airs tonight at 8PM and you don’t want to miss it. Celeb Dirty Laundry will be live blogging the show, so don’t forget to come back to this spot at 8PM EST for our live recap! It’s Week 3 of auditions and on tonight’s all new episode of SYTYCD the judges have returned to LA. And LA is where it’s at! Not only is the city known for talent, especially since people around the world travel there just to make it or break it, but there are also plenty of dancers that have been cast in the background of one movie or another simply waiting for it to be their time to shine. So the real question is not are there talented dancers here but how many of them are out there in the city of angels? And as it turns out, it seems like coming out to LA was the best decision the show could have made. Because, right from the start, the judges had a very good reason to give standing ovations. Up first was Asaf. Asaf is originally from Tel Aviv and he calls his dancing “Kosher.” It’s a form of break dancing and, technically, it’s still part of Team Street but no one knew what that meant. So the judges were actually gearing themselves up to watch a tragedy when out of nowhere Asaf wowed them. Asaf took a risk and his break dancing didn’t look like anything else the judges have seen. Yet, he impressed them and received a ticket to Vegas for all his troubles. Asaf was the first standing ovation of the night. However, while Team Street got off to a great start, Team Stage had Avo. Avo is originally from Armenia, though he was classically trained in the States. So, in a way, there is some similarity between him and Asaf. On the other hand, unlike Asaf, Avo came out onstage as a humble young man. He wasn’t overly confident and he clearly just wanted to dance. To the tune of Sam Smith’s “Stay With Me,” he managed a classically beautiful ballet that even had Paula frequently commenting throughout his performance. And Paula only ever interrupts a dance for two reasons. She either really loves what she’s seeing or she’s shouting out encouragement to someone she’s unsure of. Yet, no one, including Jason, who doesn’t have that much experience in ballet, were unsure of Avo. But what about Jana? Jana also known as “Jaja” was from Team Street. And without the classically beautiful lines, people tend to underestimate or, at the very most, overlook what Team Street brings. This year, Nigel swore that Street was going to have a representation in the top ten. And by the end of Jana’s performance, he became even more convinced. So, in the upcoming weeks, pay attention to Jana. She might very well be a game changer! Speaking of Team Street, though, LA appeared to be their kind of town. Performer after performer came up and all appeared to be Vegas worthy. And so I ask – are the tides suddenly turning this year? Team Stage did try redeem itself with young talents like Allen and Mary Kate. But for the most part it was a long line of popping, break-dancing, and the occasional clown costume that were making it pass the audition stage. So on the first part of tonight’s two hour episode it appears that Team Street is winning the LA battle. Allen had skills. He proved that when he danced with his partner for the auditions. But even Paula later joked about him better suited on that other show (and you know she meant Dancing With the Stars). Hence Team Stage might needed something “more” if they hope to have one of their own ultimately win this thing. Allen was another Derek Hough and after so many years the audience had seen plenty of Mary Kates to last them a lifetime. So you know what really had the crowd on their feet? It was the two brothers breakdancing together. Two brothers, Illijaz and Burim Jusufi, recently came to the states to pursue the dream and while Nigel wasn’t as appreciative of them taking off their shirts like the women in the audience were – he still saw something in them. And that’s how the both of them got a ticket to Vegas. And Team Street took another win thanks to James. James “BDash” called his dancing animation and to see him move was like flicking though a picture book. So of course the judges loved him. Especially Jason. But it’s what Jim, the Team Stage dancer after James, is what put everyone else to shame! Jim performed contemporary piece and it ended on such a high note that Nigel said Jim must be the most talented dancer he’s ever seen. So, although Team Street was raking in more numbers, it was guys like Jim that were in a million. And after Jim left the stage, the judges were soon cheered up by Cody. See, Cody has autism, yet he’s never let a little thing stop him from dancing. Thus Cody ended up making Team Street very proud. And Cody did receive a standing ovation and a personal hug from Jason Derulo. Who, by the way, wanted to personal hand over a ticket to Vegas. 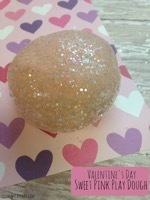 So that was something that was unusually sweet. Generally, the judges can come across as impressed, bored, or annoyed. Yet for one young man they made an effort to give him his dream. Not long after Cody, there was Jacy. Jacy was recently involved in a horrific car accident and because of that incident not only did she need to take time to recover but she also ended up losing someone very close to her. So for Jacy, when she got back to dancing; she found out that it could actually help her recover. Funnily enough it worked like a balm. So kept on going and eventually she found herself on the show. And Jacy was a very good dancer. So much so that she reminded Paula and Jason of when they too worked through their own pain. Naturally, they picked Jacy to go but she still was on the losing team. At least in LA anyways. Team Stage never did recover their ground and though, another dancer was given a ticket to Vegas, he simply wasn’t enough to given them a much needed edge. Brandon from Team Stage came back this year after his partner made it through last year without him. So this was his second chance and luckily he didn’t waste it. Brandon got his ticket and it seems his current partner also impressed because Nigel told her to come back next year. And as for Team Street, they got Jessica and Kareem aka “Anointed”. Both highly talented. So, after everyone from all four cities were counted in; Team Street now has 84 overall members thereby tying it with Team Stage.